The city at Niagara Falls is worth a pilgrimage. Buffalo, New York, is packed with unusually beautiful examples of art, architecture, and culture—especially when it comes to the nation’s Arts & Crafts heritage, which this area showcases in an eye-opening breadth and multiplicity of forms, from the movement’s early incarnations to later, more complex iterations. Buffalo was blessed, booming as the Arts & Crafts period flourished. Located on land formerly home to the Seneca nation, Buffalo grew steadily as a commercial hub of the nation during the late-19th century, thanks to its position on the Great Lakes and terminus of the Erie Canal. In 1901, the city hosted the Pan–Am Exposition, a peak moment of international attention for the Queen City (and an event inscribed deeply into the city’s layout and architecture). By the early-20th century, the city was a bustling metropolis known for its tree-lined streets, graceful homes, busy business and harbor areas, and fine infrastructure. In the 1950s, Buffalo hit its peak; at a half-million residents, it was the 15th largest city in the United States. 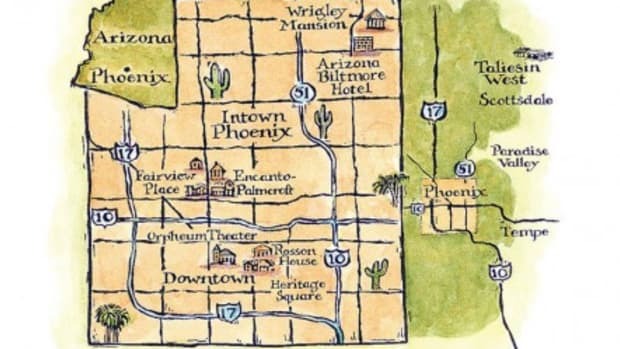 Along the way, the city served as a sketchbook for much of the country’s progress in the arts and architecture. 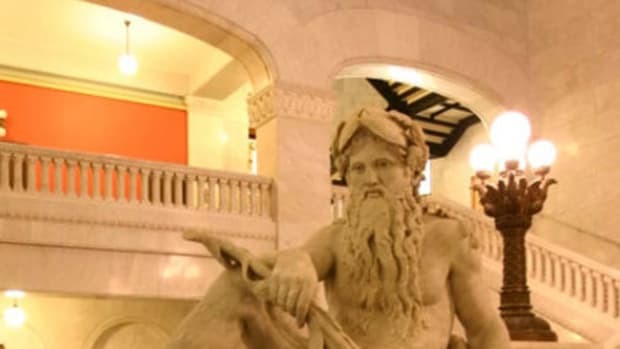 Today, when it comes to Arts & Crafts design and its ethos, Buffalo shines as a place to visit because of the wide variety of places to tour, which will teach even the most experienced aficionado a thing or two. Best yet, the Buffalo Niagara region offers visitors both comfortable walkability and easy driving distances. (You’ll see why people in Buffalo joke that everything is 20 minutes away.) Without further ado, here’s a tour plan. The Zoo’s first building opened in 1875. In the Arts & Crafts period, the Zoo flourished, and the grounds reflect that heyday, when Buffalo’s genteel citizens would stroll among the exhibits, eager to gaze at such exotic species as badgers, woodchucks, moose, and—the prize exhibit—a live elephant. Today, the structures of the Zoo complex blend Arts & Crafts style (check out the walls surrounding the Zoo in particular) with later architectural touches, since a good portion of the site was constructed under the Works Progress Administration. After exploring the Zoo, walk or drive the surrounding streets of the larger Parkside neighborhood for a life-sized stylebook of Arts & Crafts techniques and touches, from the wide front porches of classic bungalows to the clean lines of Prairie-influenced structures. “That’s our ‘Bungalow Heaven’ in Western New York,” says Starks, speaking of the Parkside area. “The fact that the whole area was developed and planned by Olmsted only adds a feather to the city’s cap. Corner detail of Wright’s Darwin Martin house in Buffalo, showing handsome brick and concrete. To continue your tour, take a walk past (better still, a guided tour of) the Darwin Martin House on Jewett Parkway, a Frank Lloyd Wright-designed complex (listed on the National Register) that offers a peek at stunning interior touches, such as a cruciform layout, long pergola, and conservatory, plus gorgeous grounds, which feature ginkgo trees and wisteria. Wright designed the complex when he was 36, and it represents him working at the height of his Prairie period. Check out the windows, which feature wisteria patterns and a “Tree of Life” design that has become famous, and much copied, worldwide. 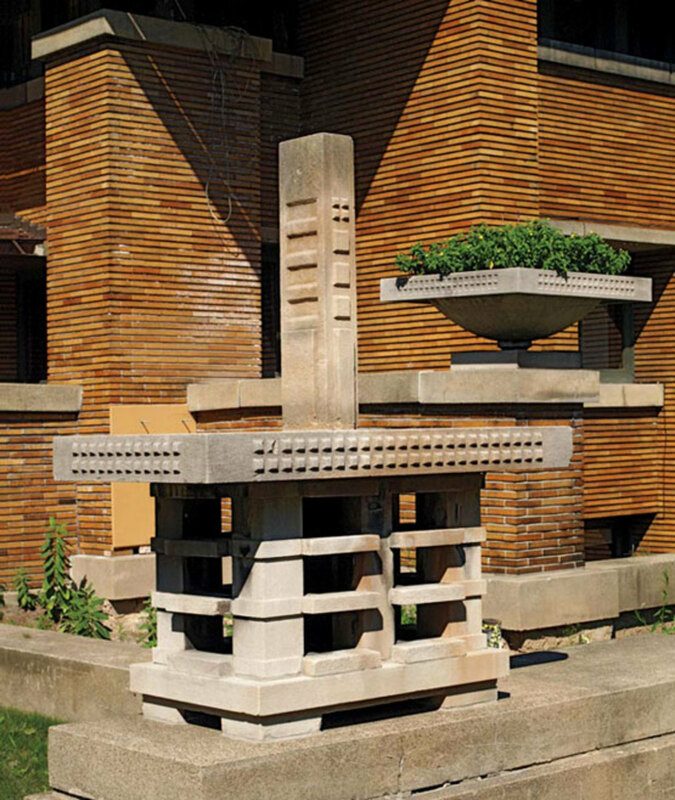 Wright built such a large number of structures in Buffalo between 1927 and 1949 that the city’s stock of his works ranked second only to Chicago, for sheer volume, at the time. To cap your excursion, treat yourself to a leisurely drive down Delaware Ave. and through the surrounding side streets, home to Buffalo’s most lavish Victorian-era mansions by architects Richardson, Stanford White, E.B. Green, and others. Graycliff has recently been restored; it was designed as a summer house by Frank Lloyd Wright for client Isabelle Martin. 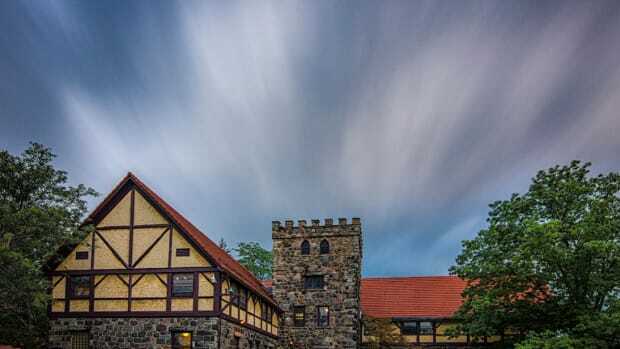 A second day of exploring will take you to two unforgettable spots: the Roycroft campus and Graycliff, both high points associated with the Arts & Crafts period in America. First, a 25-minute drive from downtown Buffalo ends in East Aurora, the classically beautiful village chosen by Elbert Hubbard for his Roycroft colony in the late 1890s. The Roycroft movement began in this village, when Hubbard, a controversial figure known for his radical views, acquired land to create a community of craftsmen and artisans intended to blend “head, heart and hand”—that is, an Arts & Crafts philosophy with top-notch workmanship, in the fashion of a medieval guild and in the tradition of the English movement. 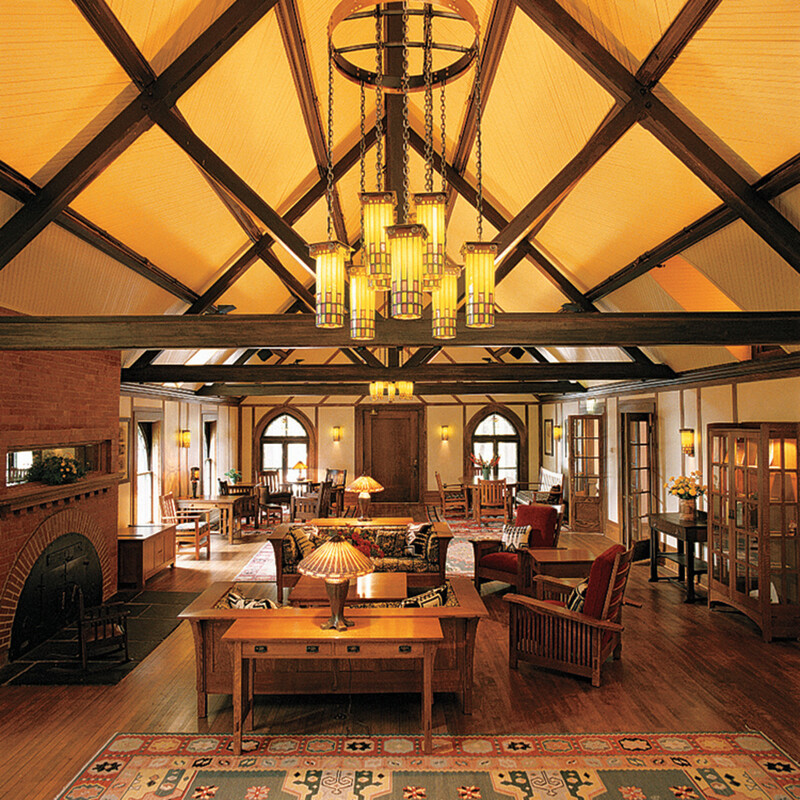 On the Roycroft Campus in East Aurora, the Roycroft Inn offers a unique Arts & Crafts experience. Hubbard himself died in the Lusitania sinking in 1915. But the Roycroft campus served as home base for these early Roycrofters, who specialized in high-quality craft and the arts, evolving a unique style that blended simplicity with elegance. Today, the Roycroft campus is open on a limited basis for self-guided walks, and tours may be booked upon request. An Elbert Hubbard Museum is located nearby, on Oakwood Drive, and one of Hubbard’s homes, the evocatively named White Hyacinths, is also within walking distance. 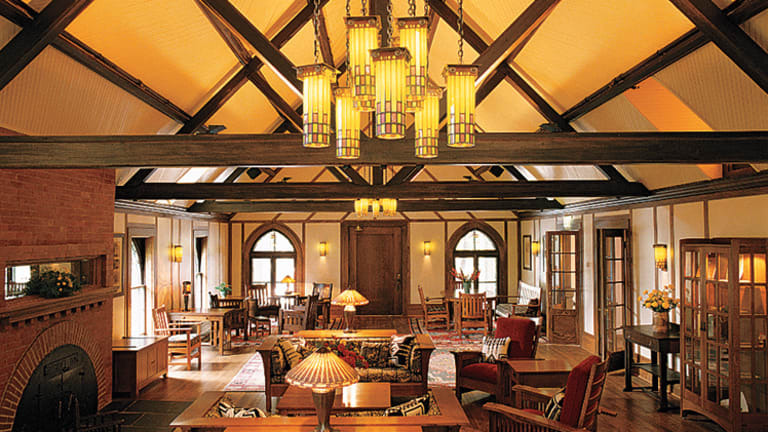 The 1905 Roycroft Inn, which was re-opened to the public in 1995, is located on the campus and offers both a fine-dining restaurant and overnight accommodations. Climb back into the car for a half-hour’s drive to Derby, a small community perched on the bluffs above Lake Erie south of the city. 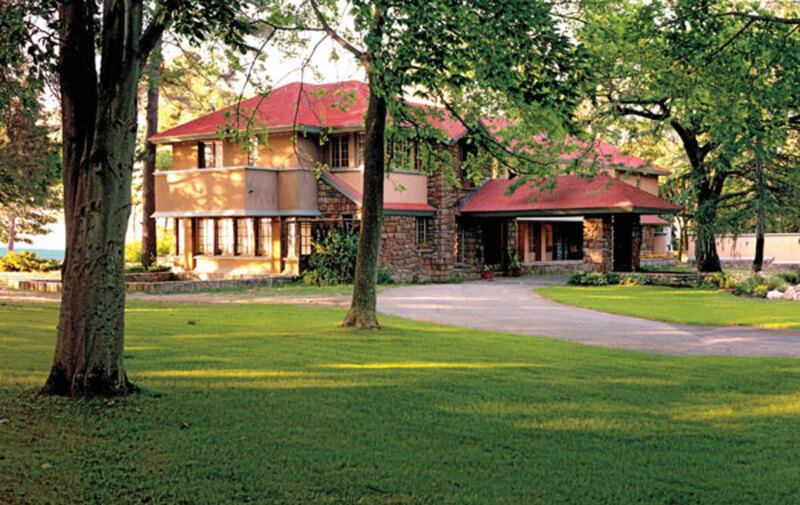 There, you’ll find Graycliff, Frank Lloyd Wright’s elegant summer home, built in 1927 to the specifications of his client, Isabelle R. Martin, wife of prominent Buffalo businessman and longtime Arts & Crafts patron Darwin D. Martin. With its low ceilings, walls of lake-fronting glass windows, angles designed to capitalize on Lake Erie breezes, and other unique amenities, Graycliff is a 6,500-square-foot architecture buff’s delight: an interesting view into Wright’s transition out of his Prairie period. Darwin Martin House, 125 Jewett Parkway: darwinmartinhouse.org Tours and programs vary by time of year. Graycliff, 6472 Old Lake Shore Road, Derby: (716) 947-9217, graycliff.bfn.org Tours weekdays and weekends.